Home > Corporate Greed, Kleptocracy	> JOBS Act of 2012: Will H.R. 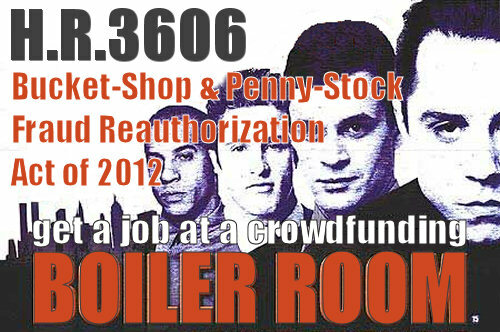 3606 Jumpstart Our Business Startups Or Open The Crowdfunding Fraud Floodgates? This document may contain links shortened using http://tinyurl.com to facilitate emailing. If you are concerned we might use them to cloak phishing or malware, we recommend you open them with this: http://longurl.org. Also our thanks to the miami web design, miami web designer and miami web developer that support our efforts. World War Web Advisory #7: Anonymous Has Been Occupied Federal Reserve Bank of Dallas Advises We Must End Too Big to Fail – Now!